03 Oct 2018 --- Now that the new US-Mexico-Canada Agreement (USMCA) has been drafted during last-minute talks, the US and Canadian dairy industries have two very different viewpoints on the proposed new version of the North American Free Trade Agreement (NAFTA). The Americans are declaring a victory for dairy farmers because they’ve gained access to the Canadian market, while Canadian farmers claim the Government has sacrificed their livelihoods. The Canadian dairy industry says they have been caught in the crossfire as Prime Minister Justin Trudeau and President Trump thrashed out a revised deal to replace NAFTA and form the new trilateral trade deal between the US, Mexico and Canada. Following more than a year of negotiations, the three countries have reached understandings in key areas, including rules of origin for automotive manufacturing, agriculture, labor, intellectual property rights, culture, and dispute settlement. However, one of the major sticking points concerns the dairy industry. After much debate and deliberation, Canada did give more access to US dairy producers with the proposed USMCA deal granting them a 3.6 percent portion of Canada’s domestic market. The new agreement – which is expected to be signed next month and will have to be approved by Congress – would also see Canada’s Class 7 milk pricing system scrapped. “The announced concessions on dairy in the new USMCA deal demonstrates once again that the Canadian government is willing to sacrifice our domestic dairy production when it comes time to make a deal,” says Pierre Lampron, President of Dairy Farmers of Canada (DFC). “The government has said repeatedly that it values a strong and vibrant dairy sector – they have once again put that in jeopardy by giving away more concessions,” he added. USMCA follows two previous trade agreements in which access to the Canadian dairy market was granted, CETA and the CPTPP, which according to the DFC, sacrificed the equivalent of a quarter of a billion dollars annually in dairy production to industries in other countries. The livelihood of thousands of Canadians and the future generations of dairy producers is seriously at risk, it claims. “The message sent to our passionate, proud and quality-conscious farmers and all the people who work in the dairy sector is clear: they are nothing more than a bargaining chip to satisfy President Trump,” adds Lampron. What does the US dairy industry say? with Mexico as the largest customer. They say that Canada has strictly controlled imports for decades to limit the supply of milk in the country. Recently, as milk production in Canada has grown, it created the Class 7 pricing system to dump surplus milk proteins onto global markets, in direct competition with exports from the US and other nations. From a strategic standpoint, the new agreement will benefit America’s dairy sector because it preserves the overall structure of the 24-year-old NAFTA. 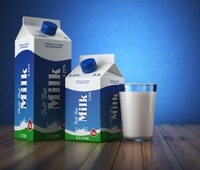 While Canada will remain a largely self-contained, protected milk market, “this agreement, when implemented, should give us additional marketing opportunities that will allow us to provide high-quality American dairy products to Canada, which means we’ve made incremental progress,” adds Jim Mulhern, President and CEO of NMPF. The dairy groups said that the ultimate benefit of the new USMCA would depend on how it is implemented. Also, now that a tentative trilateral agreement has been reached, the dairy organizations urged the governments of the three nations to remove their tariffs on agricultural exports – as well as steel and aluminum – that have been sticking points in relations between the US, Mexico and Canada. “We believe the agreement will serve to benefit America’s farmers, ranchers and food manufacturers – and we look forward to working for passage of the USMCA in the US Congress,” says a statement. Dairy US Mexico Canada Milk Trade NAFTA USMCA US-Mexico-Canada Agreement Market Access Trilateral Archer Daniels Midland Company Class 7.